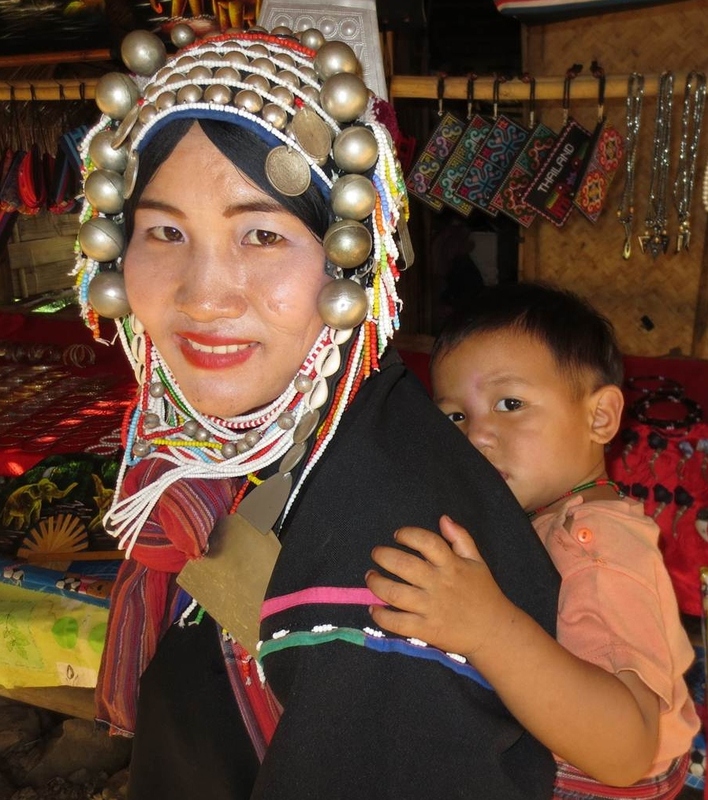 This striking woman and her shy son are members of the Akha hill tribe in northern Thailand. The Akha people live in small villages at high altitudes in the mountains of Thailand, Burma, Laos and China. I took this photo in a village not far from the northern Thailand city of Chiang Mai. There are now more than 80,000 Akha people living in northern Thailand. Most of them make a living from agriculture, although increasing numbers of the Akha – like this woman – now earn a livelihood by selling hand-woven baskets and other handicrafts to tourists. Akha women are known for their beautiful headdresses, which define their age and marital status.